Metro Steel Services is a family owned and operated business established in 1992 by Pat Taaffe and now run by Pat’s son, Adam Taaffe. Metro Steel Services has grown to be one of the most highly regarded stainless steel fabricators in the Perth Metropolitan region. We provide custom stainless steel fit-outs for commercial bars and restaurants, and bespoke residential kitchens, outdoor barbeque areas, bars, alfresco areas, balustrades and rails. We are passionate about working with architects and designers that push the boundaries to create innovative fabrications. We are also a proud supporter of the Ronald McDonald House Charity in Perth, Western Australia and a major sponsor of the Ride for Sick Kids 2015. 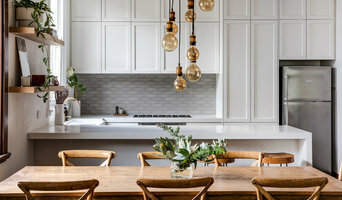 There are many types of kitchen professionals in Perth, Western Australia – from cabinet makers, to carpenters and interior designers – and many trade professionals offer a full suite of expertise. Depending on the size of your kitchen renovation, and the kitchen designer, they may also hire contractors on your behalf and manage the project from beginning to end. Here are some related professionals and vendors to complement the work of kitchen & bathroom designers: Kitchen & Bathroom Fixtures, Appliances, Tile, Stone & Benchtops, Joinery and Cabinet Makers, Carpenters. 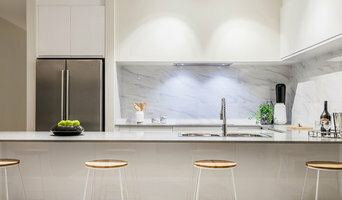 Find a Perth, Western Australia kitchen designer on Houzz. 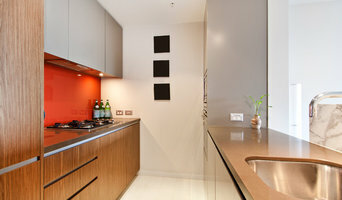 Browse the Professional section on Houzz to find kitchen designers in Perth, Western Australia. Then, scroll through photos of their latest kitchen renovations and see how their work compares to the scope of your project. You can read reviews to see how other homeowners rate their work, and message them directly to to ask any specific questions.